Even the photographers pitched in to get things ready for race day after the storm blew through the Wairoa. Photo: Odin Woods. 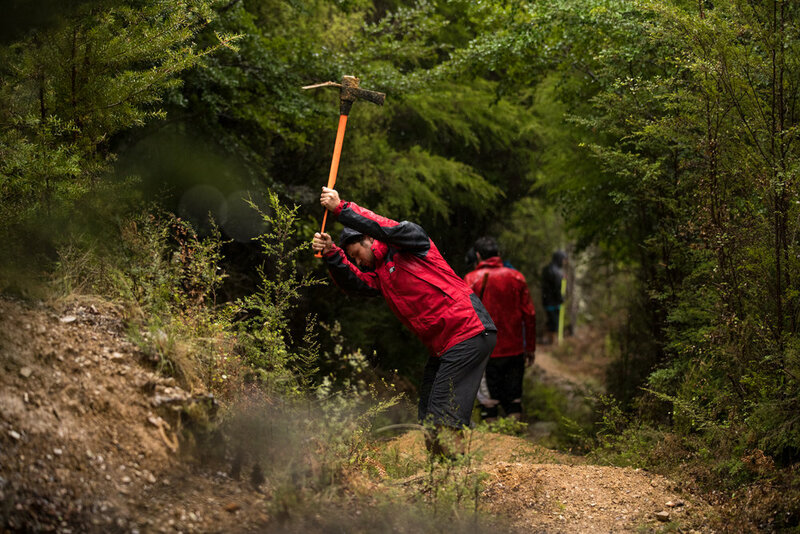 The week’s rough weather is set to clear for one of the premier events on the New Zealand mountain biking calendar, promising prime conditions for race day. 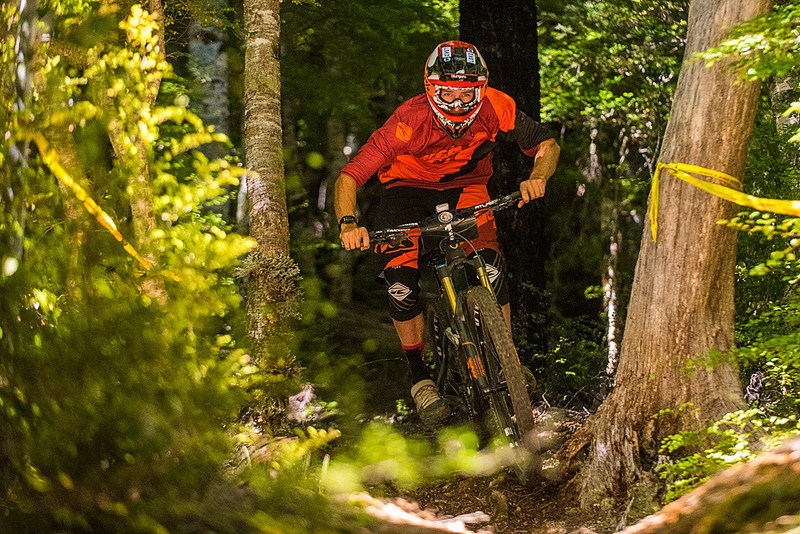 The Dodzy Memorial Enduro kicks off at the Wairoa Gorge on Saturday. The start list is full of big names including last year’s winners Sam Blenkinsop and Harriet Harper, as well as podium threats Brook MacDonald, Joe Nation, Katy Winton, and Raewyn Morrison. Sam Blenkinsop is back to try and back up his win in 2017. Photo: Digby Shaw. The Wairoa came through the tail end of cyclone Fehi without the extensive damage that saw roads closed, waterfront buildings wrecked and house evacuated in Nelson on Thursday. A small crew of volunteers spent the day clearing windfall with chainsaws, rakes and leaf blowers to make sure the extensive trail network was looking flossy for practice. 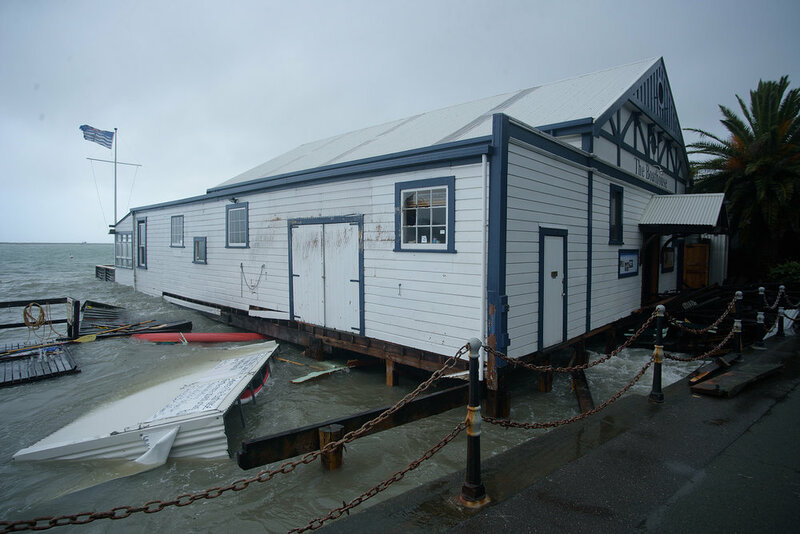 The Wairoa avoided the worst of the damage that thrashed the Boathouse in nearby Nelson. Photo: Digby Shaw. Things were looking great, with the trails running good and tacky, until thick dark clouds rolled in from the north. A short but heavy deluge in the late afternoon eased to a steady drizzle which will guarantee exciting conditions on practice day. The wet weather will have some racers frothing for slippery laps, but cause a sleepless night for others. The hill dries fast and rides well in the wet, so those fearing the famously technical terrain of the Wairoa should put their minds at ease. Heavy rain came down late on Friday afternoon, when the finishing touches were being put on the race stages. Photo: Odin Woods. The twisted minds in charge of the course have come up with three fast and brutal stages with a few surprises to catch out any Gorge veterans hoping to cash in on their local knowledge. 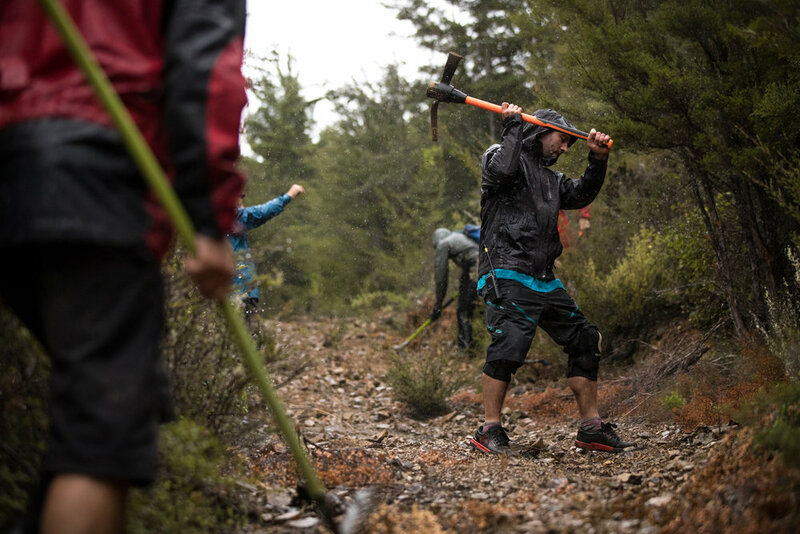 Stage one is dedicated to Steve Coleman, a long-time trail builder up the Wairoa who passed away last year. It will take in some of his best work up the hill. Stage two is in memory of the late Mark Dunlop, a DME regular who had contagious love of bikes and racing. The stage will be raced blind as Mark would have wanted. The final stage has been coined “the policy of brutality”, and is sure to push bodies to the very edge. Racers would do well to keep something in the tank for this one. The storm is clearing. Photo: Digby Shaw. By Sunday, the trails should be in perfect condition for a big day of exciting racing and top banter as the mountain bike community comes together to remember those who can’t be with us. The weekend is sure to be a fitting tribute for the late James ‘Dodzy’ Dodds, whose stoke for bikes was high whatever the weather.